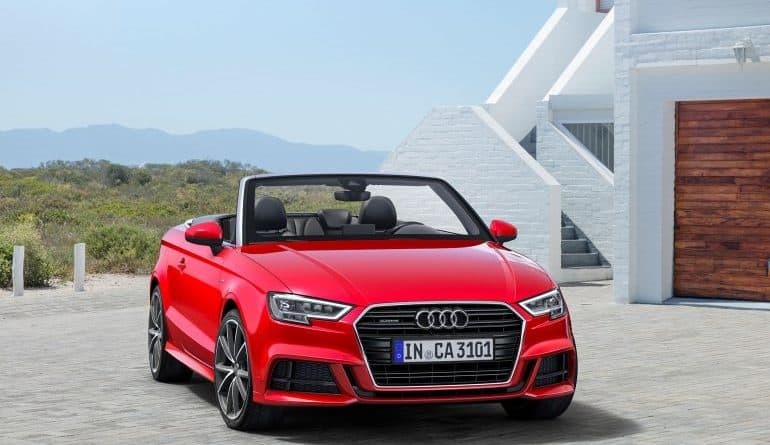 The latest upgrade of A3 Cabriolet has been launched by Audi India and this facelift has prices that start from Rs 47.98 lakh (ex-showroom, Delhi). Most of the updates on this version closely resemble the upgrades of the A3 sedan, whose new version was launched internationally by the company last year. Audi India has tried to keep the design revamp low-key and the new A3 Cabriolet is now more in step with the new generation A4. This includes a new frame grille and a fresh bumper, along with new LED tail lamps and a new bumper for the rear. Revamped headlamp design complemented with new LED daytime running lights sums up the front-end updates. As for the interiors, there are quite a lot of things to look forward to. 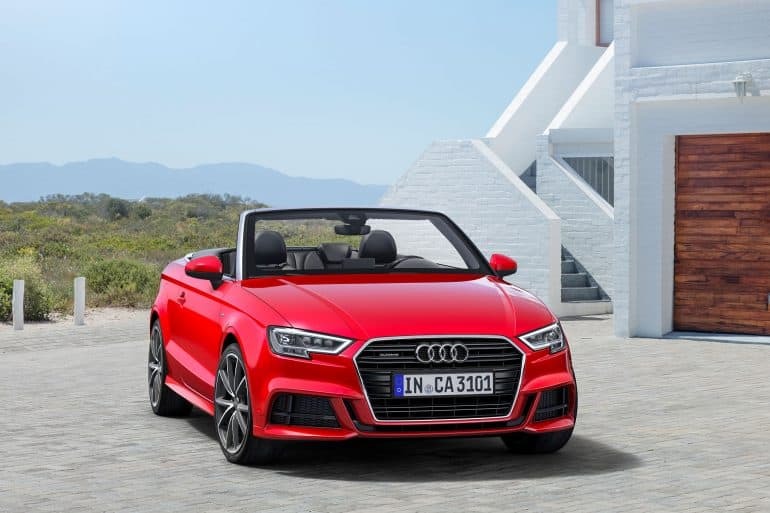 The new A3 Cabriolet feature updates include three-spoke multi-functional steering wheel, MMI interface, Bang and Olufsen audio system and new Milano leather upholstery. This does not end here, it also features five airbags, optional smartphone interface, Audi Parking system plus and ABS with EBD. To take your ride a notch higher, the soft top on the A3 Cabriolet after this update is claimed to shield the cabin from exterior sounds. It can be withdrawn with the use of hydraulic drive at speed up to 50 kmph. On the mechanical front, the new Audi A3 has a new 1.4-litre TFSI petrol engine. 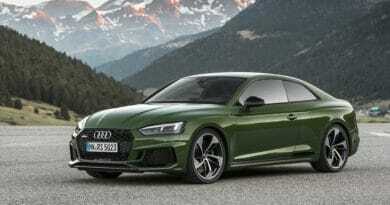 As seen on the new generation A4, this new engine is replacing the 1.8-litre TFSI engine. Paired with a 7-speed S-Tronic dual clutch transmission, the turbocharged motor generates 150 hp and 250 Nm of torque. It also comes with a technology that tapes off cylinders that are not being used at lower speeds, called the Cylinder on Demand (COD). As a result, it supports fuel-economy along with reducing emissions. As claimed by Audi India, this brand new variant renders 19.20 kmpl of fuel efficiency. 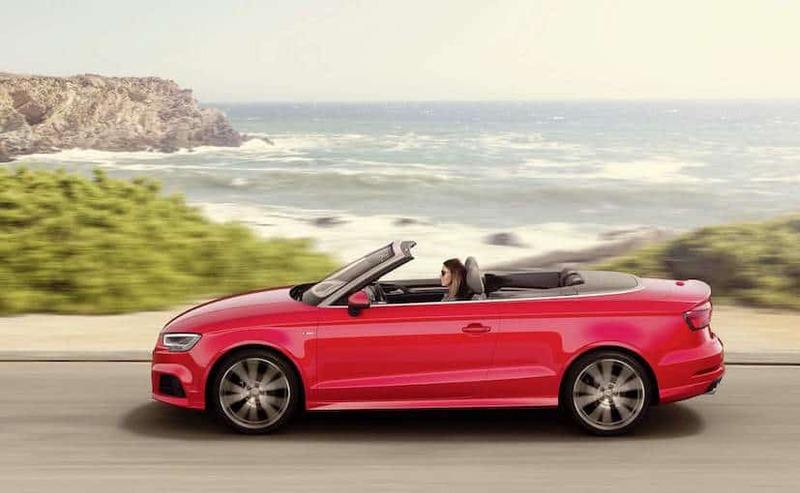 It is exciting to see one of the most pocket-friendly convertibles to come up with all these new upgrades and updates. 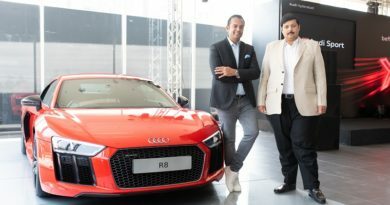 What is surprising is that Audi India is launching this before introducing the facelift of A3 sedan, which is considered to be one of the most pocket-friendly luxury sedans in the country. As of now, nothing has been said about its launch but we can expect to see that in a few months time.